We are proud to share over 600 joint customers with Tableau. And we’ve noticed a certain trend: Our users are passionate. They are curious. They are always improving and empowering themselves with self-service analytics. There are quite a few sessions at TC16, including ones from BAE Systems, Tableau’s finance team, and more. Check those out to hear about how Alteryx and Tableau together make analysts faster, smarter, and better. Or dive deep with our Alteryx Starter Kit for Tableau (no trip to Austin required) and a hands-on lab at the show. And of course, be sure and come by booth #101 and tell us how you are analytics! With data democratization, businesses are adopting to self-service analytics at an unprecedented rate. However, it is critical for business and IT to collaborate and ensure the integrity, quality, and completeness of the underlying data. At TC16 this year, join Nissan to hear how they transformed their analytics adoption, driving self-service analytics. Or dive deeper with our Hands-on Training session “Informatica: Drive Enterprise-Wide Analytics Use Cases with Governed Self-Service Data Integration and Preparation Tools”. We look forward to seeing you in Austin! TC16 is just around the corner! Join Datawatch and KPMG during our customer session to learn how KPMG has achieved better insights faster with our self-service data-prep solution. 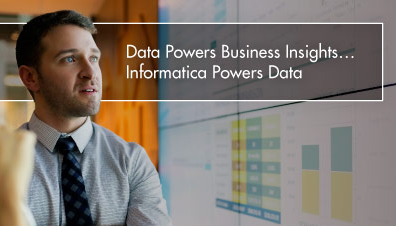 Datawatch Monarch allows users to access and blend data in ways you never thought possible–data from PDFs, web pages, JSON, and even BI reports. Stop by Booth #501 to learn more, and better yet, attend our hands-on session and see for yourself! Datawatch will be converting attendees into data kings and queens all week! Explore live demos and grab a data king t-shirt or other fun giveaways. As Tableau’s VAR, Training and Professional Services Partner of the Year , InterWorks is attending TC16 in force. Whether it’s through Power Tools for Tableau or “Self-Service at Scale” sessions, we are ready to help you do more with your data at TC16. Find us at booth #107 in Hall 1 to connect with top data talent and discover where your data journey leads. Then check out our Tableau Server Champions Club session and our customer session featuring Google. See y’all soon!